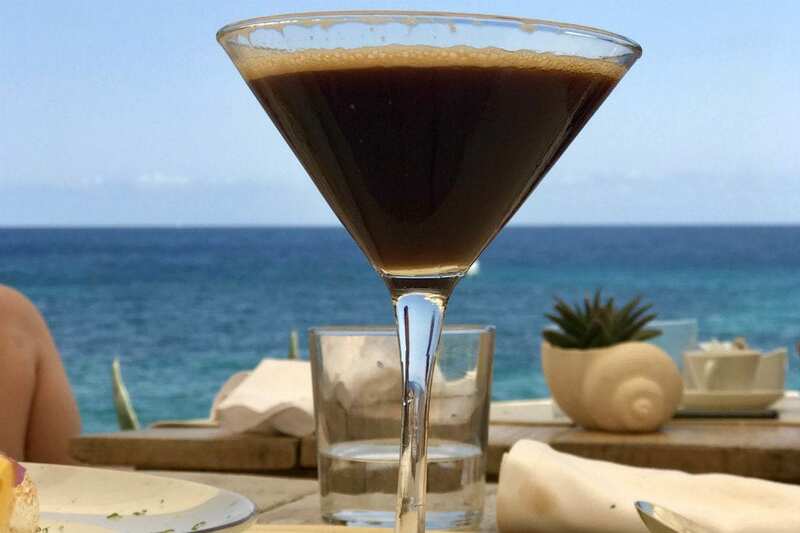 Amante Ibiza, close to Santa Eulalia, is one of the dining diamonds of the White Isle. In my previous capacity of restaurant reviewer for Ibiza Spotlight magazine some years ago, I already knew Amante was top class. I’d written articles about it myself. 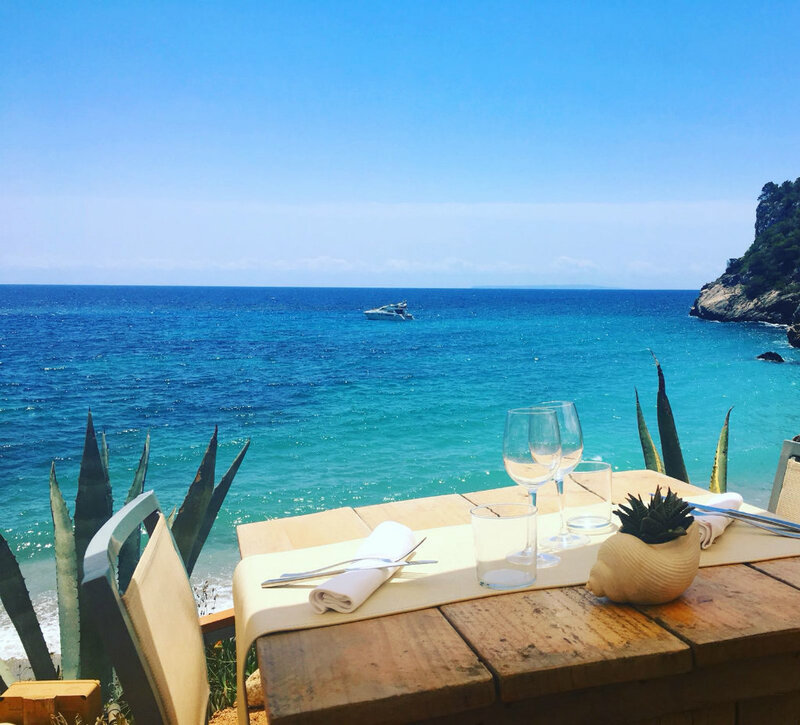 But not having visited for a few years, I was curious to see whether this legendary Ibiza restaurant had held on to its uniquely bewitching combination of top-class service, taste-bud dazzling cuisine and breathtaking scenery. I was just waiting for the right occasion to present itself. And then the day arrived of my dear friend’s birthday. A birthday that friend had spent assisting her mum back in the UK, rather than chilling on a beach with her many friends at home in Ibiza. That scored a zillion mum points. And what do points make? Woohoo! It was just the excuse I needed to book a table for two at Amante Ibiza as a belated birthday treat for my friend. A touch of extravagance 100% justified. The first thing that I liked was the booking process. I called a week in advance (this is high season, folks) and my booking was duly taken. Immediately I received a notification by text message, with my confirmed booking. The morning of our reservation, I received another text message, reminding me of my booking, and asking me to click to confirm I would be attending. I was already happy before I had even set off. Arriving (3 minutes late, I hate to admit) we were greeted warmly and led briskly to our table. We were no sooner sat, than our waiter, Juan-Carlos, was over in a flash. English Mojitos, the cocktail of the day, were recommended, and gladly snapped up (gin in place of rum, cucumber added to the mint. MMM!). 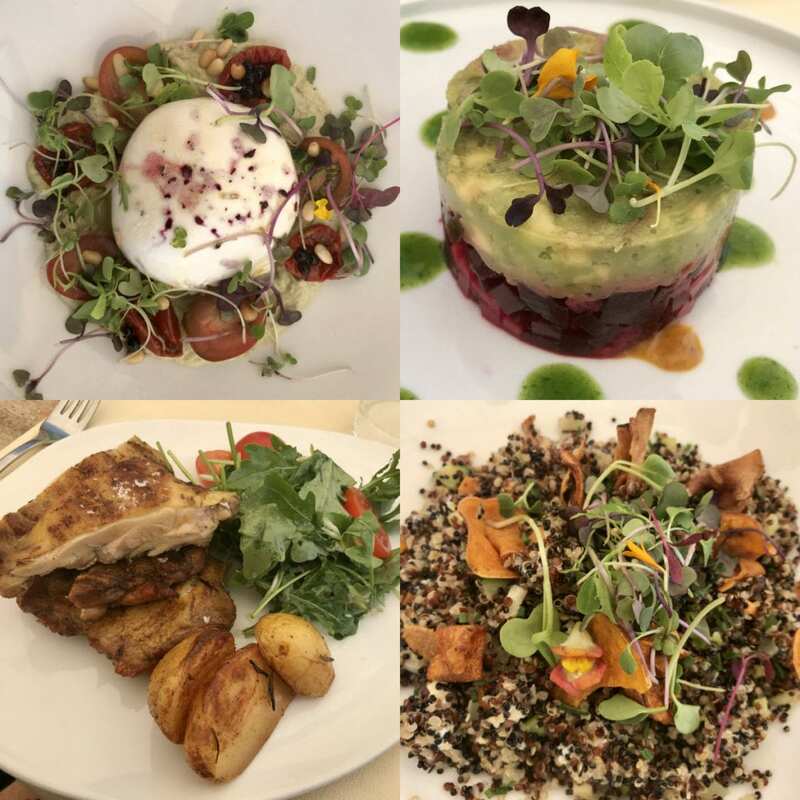 We ordered the organic burrata & tomato salad and the beetroot and avocado tartar for starters, followed by oven roasted, organic rosemary chicken & Quinoa & goats cheese for mains. Not a morsel was left on the plate. Not even a crumb. For dessert, we chose the lemon meringue & an expresso martini each. Throughout our lunch, I loved how Juan Pablo seemed to sense the perfect moment to approach, whether to check how we were enjoying our various courses, change an ashtray, or deliver a perfectly timed drink refill. We sat there for quite a while, enjoying our self-induced food-coma in that sultry Ibiza July heat, chatting about this & that, taking the odd smug photo & congratulating ourselves on a thoroughly fabulous afternoon. Ladies and gents, do yourself a favour. 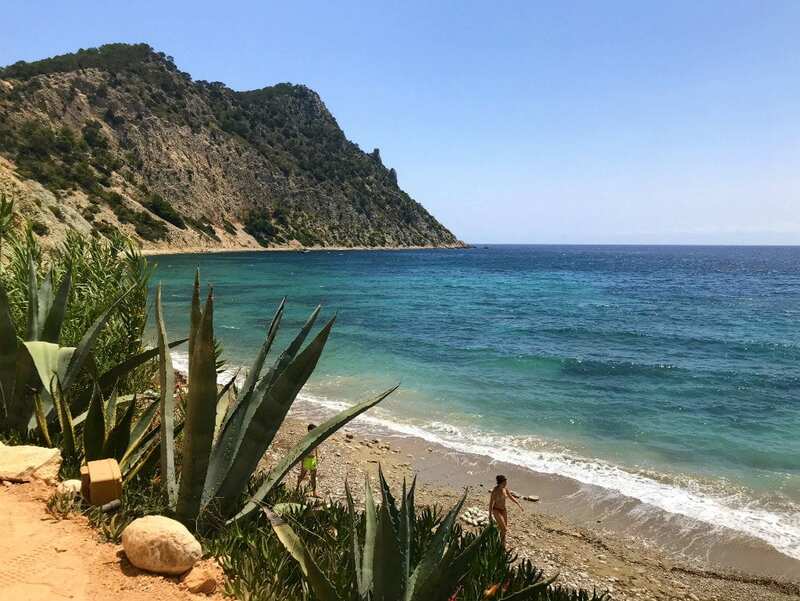 If you’re here on holiday and want to experience the very best of the White Isle, head down to Amante Ibiza. Do not forget to book at least a week in advance. It’s not cheap. Our bill for a 3-course lunch for two (no wine) came to about €150. But, dear reader, it was worth every single cent (plus a hefty tip for the outstanding service).